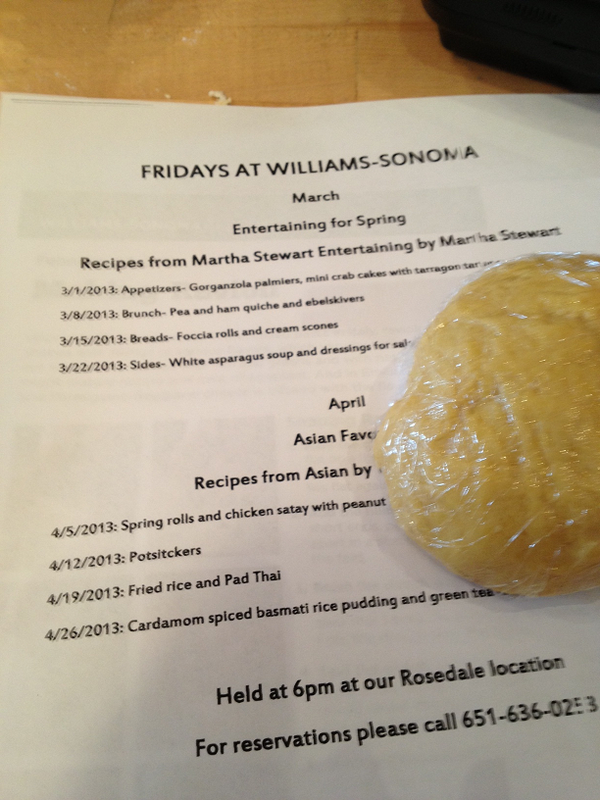 Did you know that Williams Sonoma offers free cooking classes at your local store? I have attended a few of them at the Roseville, MN store and found them very helpful. 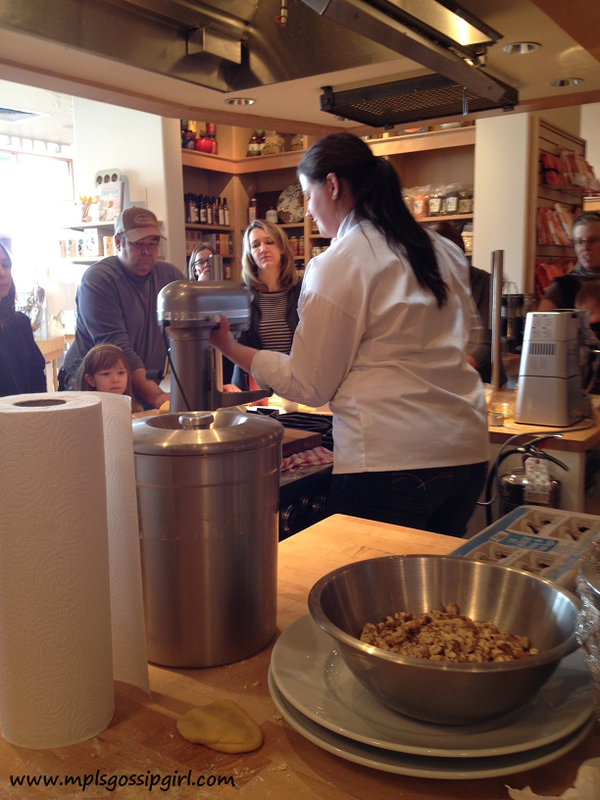 The complementary technique class that is pictured here was about learning how to make pasta. This was my first time using a Kitchen Aid to make pasta. To get signed up for a class all you need to do is call your local store to sign up. Topics are usually seasonal and fairly short. Click this link HERE. Look under complementary technique classes, use the drop down to see current class selections, and locate your nearest store. because learning to cook is fun!